I love Halloween, but as for dressing up...I guess this year I've been something of a party pooper. So what's a belle to do for her Halloween blog post when she's without a fabulous costume to share? Post pictures of her adorable cousin's creative costume instead, of course! 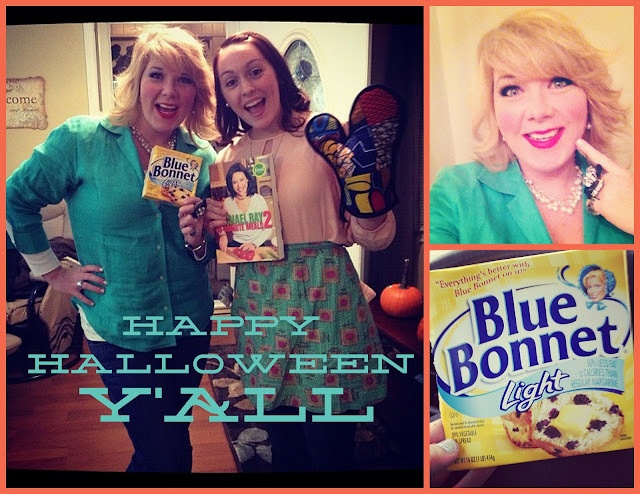 My sweet cousin dressed up like the butter queen herself, Paula Deen! I love it! Her friend (above) went as Rachael Ray...too cute! 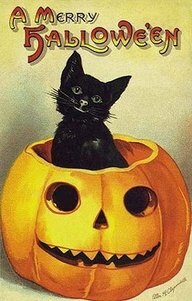 I hope y'all have a wonderful Halloween. Be safe tonight if you go out trick or treating! And eat an extra piece of candy for me...especially if it's chocolate. It's a great time to live in Knoxville...all sorts of wonderful things are happening in my fair city and I just heard the latest news that we are getting an Anthropologie. I've lusted after this shop's offerings while traveling to bigger cities and now I'll be able to visit and peruse the loveliness in my very own neighborhood. The expected date for the store to open is April/May 2013...spring can't get here fast enough! There's nothing like that first truly blustery cold day of fall (and watching your Alma Mater's football team lose yet another game) that makes a person want to hunker down and drown his sorrows in some comfort food. In my opinion, the most comforting comfort food is mashed potatoes (with macaroni and cheese coming in second) so I thought I'd share my recipe with a vegan twist. Growing up, the mashed potatoes I enjoyed were made by my granny, creamed with milk and butter and peppered like crazy. Since I adopted a vegan lifestyle, I figured that kind of goodness was off limits to me...until I realized that I could make a great alternative version without any dairy. Believe it or not, my version is really good and you don't even miss the milk. To make my vegan mashed potatoes, I boil 4 to 6 medium sized red potatoes (with the skin left on) til they can be pierced with a fork. Then I pour off the water and mash them up, adding a little vegetable broth and some olive oil until I achieve the consistency I like. Sometimes I add a small amount of Earth Balance vegan spread but it's not necessary. Finish off with a sprinkle of dill and garlic powder. Yum! Apparently this dish was quite a treat to my southern beau which made me laugh because it's so easy to make. He kept asking me where the mashed potatoes had come from as if it were impossible I just whipped them up at home. 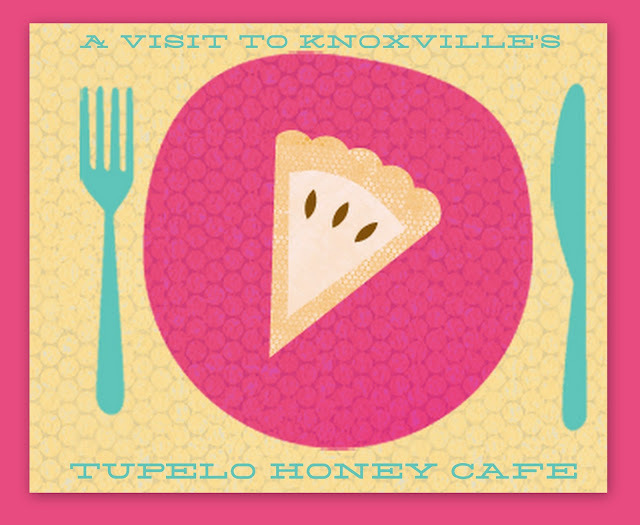 Tupelo Honey Cafe, the beloved Asheville, North Carolina restaurant, has opened its doors in Knoxville and I paid a visit last night for a yummy dinner (and some wonderful company). I've been a fan of Tupelo Honey for some time after snagging a copy of the Tupelo Honey Cookbook (Tupelo Honey Cafe: Spirited Recipes from Asheville's New South Kitchen). It has some great recipes and tons of gorgeous images and would make a cool birthday or holiday gift for that southern foodie on your shopping list. I had the Sunshot Vegetable Plate, which included a choice of 3 side dishes from the menu. They all sounded so good, it was hard for me to choose but I finally decided on New South Sauteed Greens, Honey Pickled Beet Salad, and Salsa Verde Black-Eyed Peas. Everything was delicious! I ended up mixing my beans and beets together just like they do at another downtown Knoxville eatery that happens to be a favorite of mine. I'm sorry I can't regale you with stories of to-die-for pimento cheese or heavenly desserts, but I didn't have any this time. I'm definitely going to be back though. Breakfast (with the exception of poached eggs) is served all day so that added even more possible menu choices! 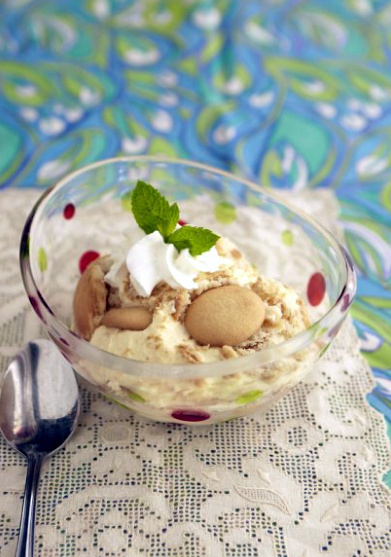 Here's a peek at the banana pudding just to make your mouth water! There are times I'm very glad my southern beau is an adventurous eater. When I told him I was making bean pizza for dinner last night, he didn't even flinch. I wasn't sure how this creation would turn out, but it was delicious! The crust was from ball of ready-made Trader Joe's pizza dough (whole wheat). Since I didn't have any marinara on hand, I used some of my homemade vegan arugula pesto for the sauce. My pizza's topping? A can of Cannellini beans. I was just about to pop it in the oven when I remembered I had some DIY sun dried tomatoes so I added those too. It might seem weird to eat beans on pizza, but I really enjoyed this combination. Roll out your crust on a pizza pan or baking stone. Spread 1-2 cups pesto on dough. 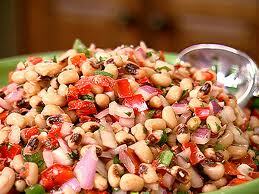 Add 1 can of Cannellini beans (drained & rinsed). Top with a handful of chopped sun-dried tomatoes. Drizzle with olive oil. Season to taste (I used garlic powder, parsley, dried basil, and lemon pepper). Place in a preheated 350 degree oven and bake for 10-12 minutes. Or follow the directions that your dough calls for. What's the strangest topping you've ever had on a pizza? I always love visiting my friends at Knoxville's WTNZ Fox43 for their wonderful morning news show and this week, I shared some easy Halloween ideas that are also thrifty! I hope you enjoy! I'm joining my friends at Knoxville's WTNZ Fox43 this morning for a fun segment about all things Halloween! It's no secret around here that Halloween is the southern beau's favorite holiday and I love it too. What I don't love is spending a lot of money to decorate my home for the occasion. 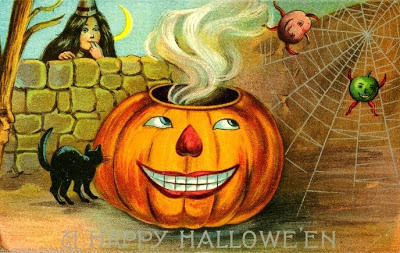 One easy way to add a little spooky cheer to your home is with vintage Halloween images. I did a Google search for "Vintage Halloween postcards" and found some great options! It's easy to have these types of things printed at a local print shop, but for the cost of a little epson printer ink, I was able to print mine out at home. I then matted them on black paper for a few easy Halloween decorations. I also shot the photo below of a local cemetery and played with the colors a bit to make it look extra spooky. This is another easy way to bring an eerie quality to your decor. Feel free to use this image for your own decorations. Since I wanted to keep this year's Halloween decorations on a budget, I decided to repurpose some things I already had, such as an antique black candelabra. 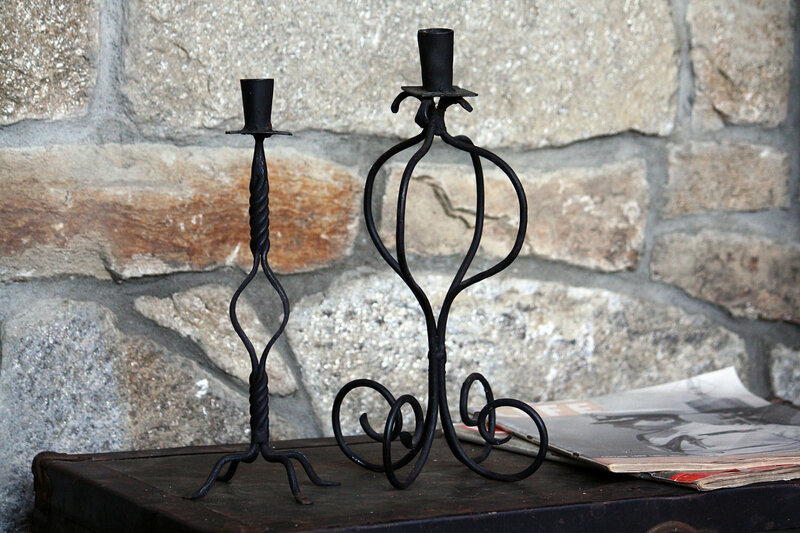 I also visited my local Goodwill store (GW Boutique) and picked up a few more black wrought iron candlesticks (like the ones shown below) for a couple bucks. 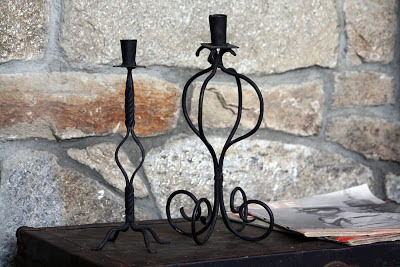 Some of these will have taper candles and the larger ones will make a perfect perch for a pumpkin or two. I also pulled out my small collection of antique purple glass bottles because I think they add a really neat mysterious quality to any Halloween decorations. 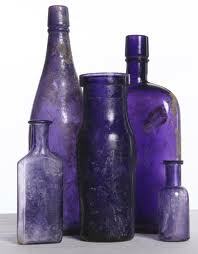 These bottles started out as clear glass but they contain manganese which caused them to turn purple over the years as they were exposed to sunlight. Bottles of this type pre-date 1915 because companies stopped using manganese after that time. 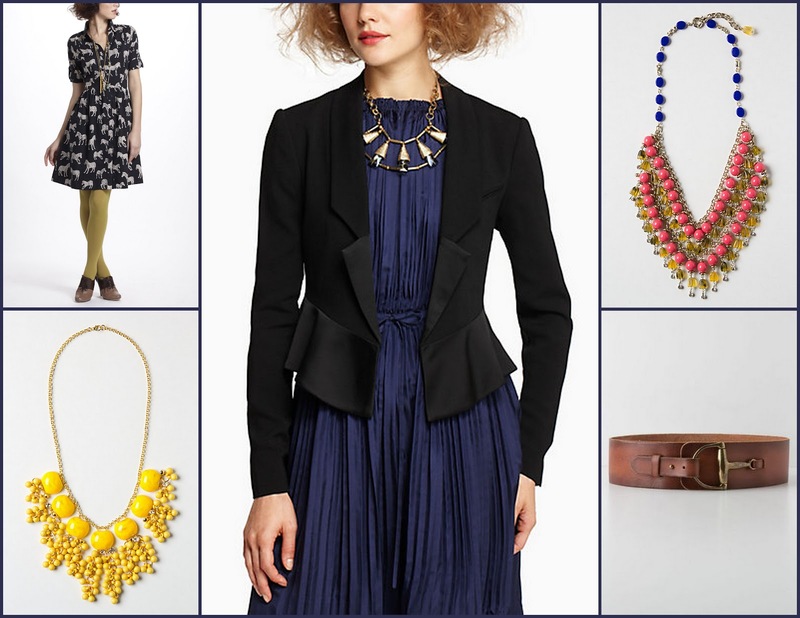 These are just a few of my ideas...I'm sure you have plenty of your own! 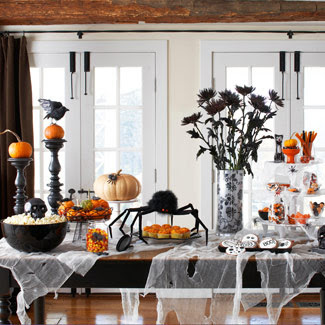 With a little creativity, it's easy to decorate your home for Halloween while sticking to a budget. It doesn't have to be a big production to be lots of fun! You can visit this page to see the video of my segment where my ideas are brought to life! The above dish (and variations of it) has become one of my go-to recipes for dinner...it's easy, healthy and delicious. I wasn't so sure when I first tried making it, but now it's one of my faves (and the southern beau licks the bowl clean too). I call it Greens n' Grains because (like all my recipes) you can pretty much adapt it to your liking as long as you have some type of greens and some type of grains. First, cook a cup or so of grains according to the package directions. This can be quinoa, amaranth, couscous, or even rice. Set this to the side for later. When all of this is sauteed and the flavors are really mingled, add the grains back in and stir it all together. You can toss in some soy sauce or Worcestershire for a little kick. Now grab your greens! 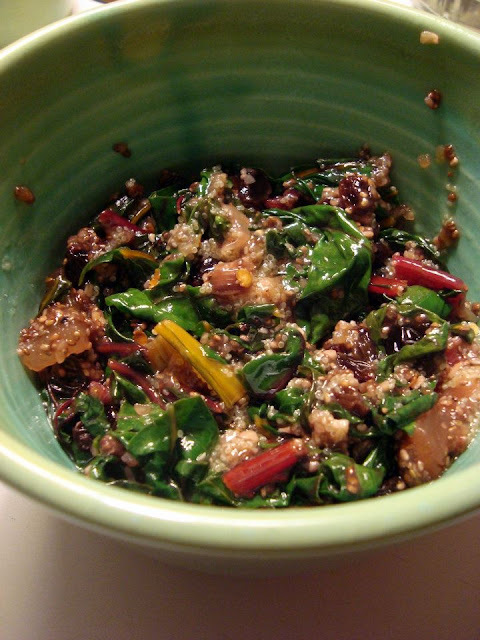 We love Swiss Chard (green or rainbow), kale, and spinach. Roughly chop your greens and put them in the skillet with the sauteed grains mixture. Let the greens wilt down just a bit and when they are the consistency you like, toss it all together and serve. I made this dish over the weekend and I'm planning to make it again this week. It's just that good (and easy!). If my recipe is a little bit too post-modern (aka crazy) for you, here's the original one that inspired me. It has actual measurements, you know, if you're into that sort of thing. Happy Tuesday & Happy Eating, whatever yummy dish you happen to be enjoying! My grandma had a birthday recently and I wanted it to be really special. Sometimes it's hard to find the perfect gift for the person who has everything. After giving it some thought, I decided to create a VoiceQuilt for her. 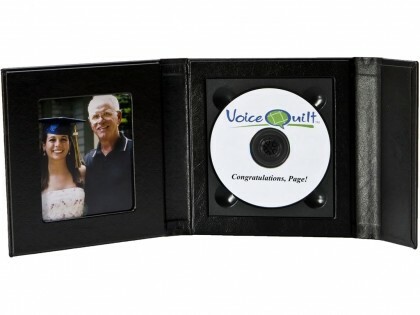 VoiceQuilt is a neat company that allows friends and family to record audio messages and memories that your loved one can keep and listen to again and again. It's really user friendly and easy to do. First, I set up my user account at VoiceQuilt.com where I was given a toll free number and access code to share with friends and family. I recorded a greeting (much like a voicemail message) telling callers that this was for my grandma and asked that they please share a special memory or birthday wish. Then my family pitched in to help share the phone number with everybody we could think of who'd want to wish my grandma well. We chose a 7-day time limit during which people could call. Folks started calling right away and each time a new message would get recorded, I was notified via email so I could listen to it and add it to my VoiceQuilt playlist. By the time my grandma's birthday rolled around, we had nearly 60 recorded messages from friends and family who had called in with a greeting. Some people sang Happy Birthday, others shared a sweet memory or story and others just told her how much she meant to them. She was able to listen to the messages on her birthday and it was a very special experience. 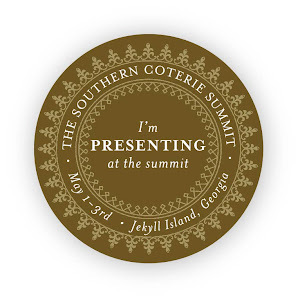 Not only was this something my grandma really loved, but the folks at VoiceQuilt have agreed to give away a gift package to one lucky Southern Belle Simple reader. The package, which is valued at $50, includes 7 days of message recording time and an audio CD of your messages delivered in a special folio. Maybe someone special in your life is getting ready to have a birthday or anniversary. This is also a wonderful gift for a graduation or retirement. There are tons of examples of different messages on the VoiceQuilt site if you need inspiration! To enter the giveaway, just "Like" VoiceQuilt on Facebook and leave a comment here saying that you did. For an extra entry, you can follow VoiceQuilt on Twitter. The giveaway runs through Friday October 19 at 5 p.m. Best of luck and many thanks to VoiceQuilt for doing the giveaway! My friend Beth over at Eat.Drink.Smile is a fabulous Nashville food blogger, but she also happens to be the Senior Marketing Director for none other than that famous southern candy Goo Goo Clusters. This month, Goo Goos are turning 100 so Beth appeared on Nashville's Talk of the Town television show to share a fantastic looking recipe to celebrate. Hope y'all enjoy! 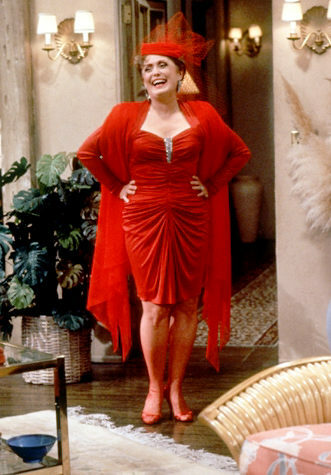 Tanya Tucker is one of those legends who has been part of the country music landscape for as long as I can remember. Today's her birthday and I thought it would be appropriate to give her a shout out here on Southern Belle Simple. 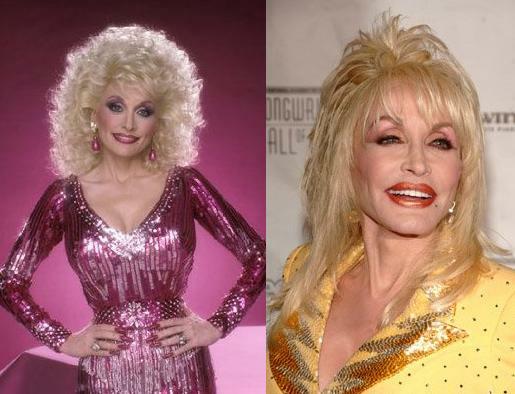 In the video below, a 14-year old Tucker sings her first hit, "Delta Dawn," on Hee-Haw. When you say "hey this job takes two"
Ms. Tanya, I hope you have a wonderful birthday! This weekend, I was driving down the interstate and saw what I think may have been the great pumpkin. While I don't condone paparazzo-style photography while driving, I just couldn't resist the chance to snap a picture. I didn't realize the great pumpkin apparently travels with some sort of great watermelon entourage. Who knew? This sighting got me into the Halloween spirit and prompted me to plan my own pumpkin patch adventure for Sunday afternoon. The southern beau and I grabbed a thermos of cider, jumped in the car and headed out to a real live pumpkin patch. If you're wondering why I say real live, it's because one year we ended up at a fake pumpkin patch. All the pumpkins had been chopped off their vines and deposited into a neatly mowed field. Not real! Our favorite pumpkin patch near Knoxville has punkins still growing on their vines, which makes it real live in my book. Apparently this is the year of the non-traditional pumpkin as far as colors go. Mine are the three beauties on the right and the southern beau's is that giant orange one on the left. I took my time looking at lots of different pumpkins before choosing my three. Whereas my pumpkin patch partner found his immediately. When I tried to persuade him to get a different one, he said "Nah, I like to dance with the one that brung me." He's so awesome (and weird). Labels: fall fantasies, farm fresh, how does your garden grow? This morning I'm joining those fabulous folks at Knoxville's WTNZ Fox43 and we're talking football...specifically tailgating. Football and the festivities that it brings are such a way of life here in the south, whether high school games on Friday nights, college tailgating on Saturdays and NFL match-ups on Sundays. I wanted to share some tailgate food ideas that I think will make your next tailgate really special. I saw this idea at a fall festival and thought it would be perfect tailgating fare. Mason jars filled with all your favorite barbecue fixings, layered like a sundae! This recipe was created by my blogger friend Nealey and I'm adding my own spin to it for this morning's segment by creating individual servings of the delicious treat in jars. You can fill the jars ahead of time but not too far ahead or the bananas will start to turn brown. I adapted this recipe from one of Paula Deen's. It's so easy to make and a real fan favorite. Just mix together a couple cans of black-eyed peas, a can of RoTel and enough Zesty Italian salad dressing to coat it all. You can also add a can of corn if you like. 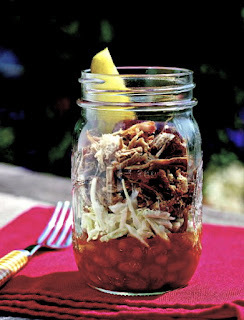 For the segment today, I'm serving this tasty side dish in small jars perfect for tailgating! 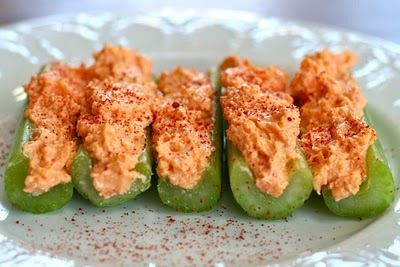 Pimento cheese is such a southern staple and it's a great addition to any tailgate. As lovely as it looks spread on celery, it's much easier to serve it in small cups or containers. Then you can just toss a few stalks of celery in each cup and it makes for easy tailgating. There are several delicious store-bought brands, but if you want to go all out, make my homemade pimento cheese. You won't be sorry! I hope some of these ideas inspired you! Whether you're tailgating near the stadium of your favorite team or just cheering them on from your living room, the food you enjoy while doing so helps to make the experience memorable. Food, family and football really are a way of life here in the sweet south and I hope you are able to enjoy all three! Catch my tailgating segment and all the rest on the TV page of my blog. I recently stumbled across the blog of Nashville's imogene + willie, a custom denim shop located in an old gas station. Founders Matt and Carrie are pursuing their passion to create beautiful, well-made, perfectly-fitting blue jeans and all the while honoring the people who helped them get where they are today. The brand's name is a nod to Carrie's grandparents but each of the couple's special grandparents is honored by the lives they lead. I haven't visited imogene + willie yet, but it's on my list of must-see Nashville spots. I enjoyed this video so much, I thought I'd share. I love when regular folks pursue their passions to see where their dreams take them. 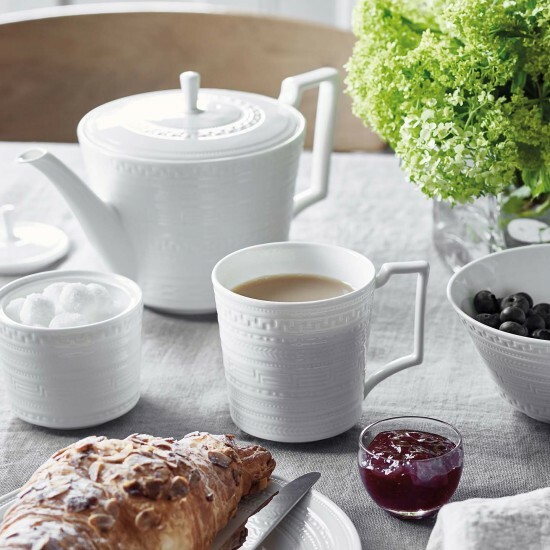 I'm also glad that there seems to be a return to locally-made, handcrafted quality goods. It makes me feel a bit better about the state of things and gives me hope for what's to come. 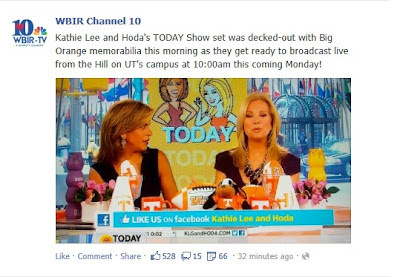 Knoxville has been buzzing ever since the news broke that the Today Show's Kathie Lee Gifford and Hoda Kotb were coming to town to broadcast their hour of the popular NBC show from the University of Tennessee campus. So I was thrilled when my friends at Knoxville's WTNZ Fox43 contacted me about doing a special segment this morning. In the spirit of southern hospitality, I have been tasked with creating a basket of local, southern goodies as a welcome gift to make KLG & Hoda feel right at home. I knew I wanted to make this gift basket extra special so I thought long and hard about which local products would best showcase all the talent and creativity that Knoxville (and East Tennessee) has to offer. You can see the basket (above) with everything I chose and find links to the items and their sources below. I figured these New York gals love bagels so I also grabbed some Bagels from Flourhead Bakery but as you can see, the basket is pretty full so I wasn't able to get them in the photo. 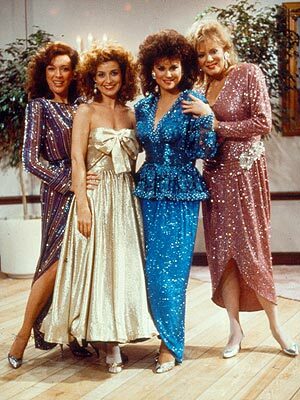 I hope Kathie Lee & Hoda feel right at home here in Knoxville. We might be a scruffy little city but we're good people and I think we know how to make visitors feel welcome!